I'm not a big non fiction reader except for maybe books about writing. However when I heard about Nina Sankovitch's Tolstoy and the Purple Chair, I was intrigued. The title captured my attention first, then the background. Synopsis: "Caught up in grief after the death of her sister, Nina Sankovitch decided to stop running and start reading. 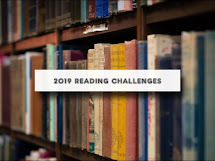 For once in her life she would put all other obligations on hold and devote herself to reading a book a day: one year of magical reading in which she found joy, healing, and wisdom. With grace and deep insight, Sankovitch weavers together poignant family memories with the unforgettable lives of the characters she reads about. She finds a lesson in each book, ultimately realizing the ability of a good story to console, inspire, and open our lives to new places and experiences. A moving story of recovery, Tolstoy and the Purple Chair is also a resonant reminder of the all encompassing power and delight of reading." Sankovitch documented her year of reading at Readallday.org where she reviewed all the books. Her reading was rather eclectic and I already lost an hour perusing through her thoughts on some of the books. My wishlist is going to grow by leaps and bounds. But first, I need to read the book. It just came out in paperback on June 19th, and I have the wonderful folks at Harper Perennial to thank for providing me with a copy. Will let you know what I think when done. And no it isn't going to prompt a read a book a day project. I may be a fast reader, but not that fast. Check out Nina's blog and find her on Facebook here. 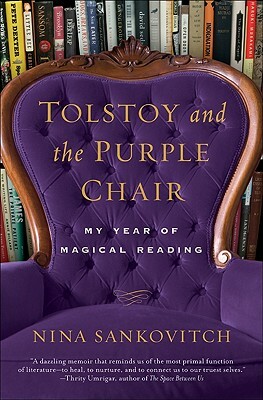 Tolstoy and the Purple Chair is a book that really intrigues me. Might have to put it on my to read list. Thanks for the review! Love Tolstoy. :) Don't love Hemingway whom I read this week. Done with book #28 - Zero Day by David Baldacci. Though I probably won't catch up, I will certainly be trying to keep up with what I can for the rest of the year! I finished Protect and Defend by Vince Flynn today. So many books! Wish I could read all day!